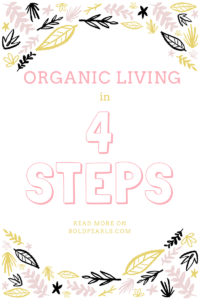 Organic Living in 4 Steps! If you follow me on Instagram, you probably saw the post proclaiming “I’m going organic!”. After reading more and watching more about the ridiculous ingredients in ALL THE THINGS we use on the daily, I decided enough is enough. I can’t control what the FDA deems as “safe” , but I can certainly control what I buy and use. Some things the FDA regulates only require 5% of said thing to be in a list of ingredients a mile long for companies to have the ability to claim “pure” or “organic”….FIVE PERCENT, come on!! Here’s another stat I heard, the average woman absorbs FIVE POUNDS of pure toxins every year from our makeup alone!!!! YUCK!!!! After having our first kid, Adam and I are consuming and using a plethora of new products from baby shampoo and hiney cream, to food and accessory cleaners. Plus, I’m so hyper aware of what I expose little man to and so it has been a tail spin of checking ingredients and trying to find alternatives…hence the proclamation “I’m going organic!”. 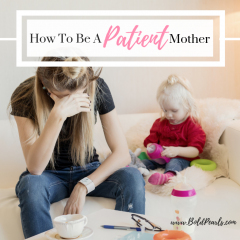 I’m tired of wondering, second guessing and having concern of what my baby’s body (and the rest of us) can process. Having started the endeavor of moving to organic, I have come to realize a few tips/advice I’d like to share. First “moving” to organic is exactly that. 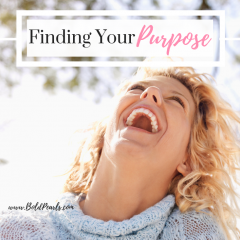 Once you take stock of ALL THE THINGS in your house that are NOT organic, it can feel insurmountable. Items you don’t even consider (i.e. throw blankets) are laced in not so great materials. 1. MAKE A LIST: List creation is a great tool for most projects, and it will work for going organic too. Start with writing down items that you use/consume daily. Start from the beginning of the day (i.e. taking a shower, breakfast) and move thru until bed time (TIP: Consider all the people in your household and what they use too). Second, make a list of the things you do regularly, and items that are needed in those processes. Think cleaning and chore routines. What products do you use to clean your bathrooms, kitchen, etc. Think about your laundry process and what you use to clean items. 2. START SMALL: First, take the “Daily List” and pick the items that are close to empty, and replace those things first. My hair products and makeup were close to done, so I started with those items. I eat oatmeal practically every morning, so during my next grocery run, I picked up organic oatmeal and other organic food items that were on my list. I have to admit, the food wasn’t so hard because for as long as I can remember I’ve been pretty conscious of choosing organic when it comes to what I eat. DON’T REPLACE EVERYTHING AT ONCE. Number one, you’ve used the “inorganic” items this long, it won’t kill you (although it may, haha) to use those items until they are done so as not to waste them or cause you to spend a small fortune replacing ALL THE THINGS. Second, grab the “Regular Use List” and check those items to see what needs replacing next and put those on your “to buy” list, and replace those items with organic options as you replenish. Apart from these items, replace things as you feel the need. Mattresses are a hot button, for example. So far, I don’t have plans on replacing my memory foam (it’s just too good!). Some things are just gonna be hard to part with or to find an equivalent alternative. 3. GO LOCAL: This is a great option when it comes to organic food. Depending on where you live, there are co-ops that consist of farmers and customers. Basically, you (Consumer) will pay a fee at the start of growing season and during harvest time, you are portioned out __ amount of the produce for that season. You can also get familiar with the local farmers’ markets in your area. During growing season, the prices are very comparable to regular chain stores. 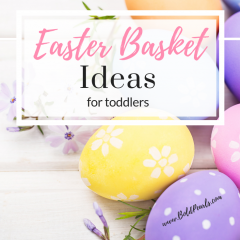 And you can even learn how to can (which isn’t difficult AT ALL, post could be coming soon on this), so you can purchase in bulk and store for the off-season. Try to source locally for things that seem too expensive or simply don’t have an organic alternative at your retail spots. 4. Don’t GET OVERWHELMED: There is SO MUCH information out there! Frankly, it can be terrifying once you go down the rabbit hole of Google and YouTube learning what is in ALL THE THINGS we use ALL THE TIME that have the most AWFUL additives. Just take one part of your living at a time and try to find the items with the shortest ingredient list and with the most words you can read and pronounce (honestly, that’s the easiest way). Some things will be hard to let go of….like your favorite salon shampoo and conditioner (that was hard for me), BUT there are great alternatives that actually don’t cost anymore. AND, it doesn’t have to be 100, there are some things we just grow accustom to and that’s fine! It’s all about your comfort level. In a nut-shell. just start with the things that you use every single day. Those will make the biggest impact for your health, and slowly work towards replacing the other household items (i.e. cleaning products or mattresses). “Going organic” , “Going green”, “Living Crunchy”… it all just means being conscious of what we consume and how it effects our minds, bodies, and the environment. There really isn’t a down side! Go slow and don’t try to do too much at once. I will be posting more about the products I’ve adopted as part of my “crunchy” lifestyle, and will review products honestly. Some people have the perception that organic may mean less effective. I promise to be honest and give a true account of how things actually perform, so be on the lookout for that. Post below if there are items you are particularly curious about and I can possibly try to work some of those into the mix. Also, please post if you have good tips/tricks/advice/or recommendations for an organic lifestyle! I’ll have to check that out! It has been a very eye-opening journey thus far. I can’t believe all the junk I’ve been using in my daily life. 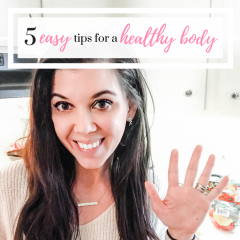 My intention is to try my best at getting my body and lifestyle as close to “natural” as possible. Thanks for the recommendation!